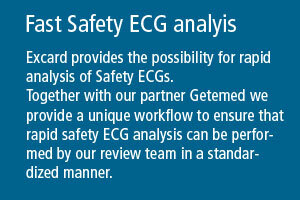 Through the close alliance between ExCard and GETEMED we offer you full-service solutions covering all aspects for rapid Safety ECG analysis. GETEMED AG has been developing, manufacturing and selling medical products for cardiological diagnostics and ambulatory monitoring of vital signs in high-risk patients for over 25 years. 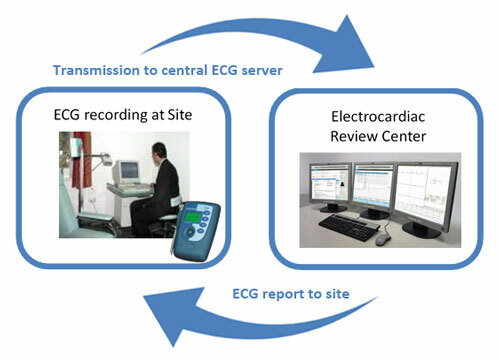 Excard and GETEMED have developed a unique workflow for ECG monitoring and centralized safety analysis by our expert ECG reviewers. We provide the complete logistics to setup Tele-ECG networks for our customers. This comprises ECG devices, wireless ECG transmission, server platform as well as a helpdesk for any technical and medical support.